Jeff Fluck (Director of Governmental Affairs, SSPBA) comes to Governmental Affairs after serving elected positions in PBA for nearly two decades. 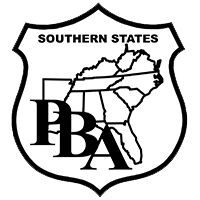 A North Carolina PBA member since 1986, Jeff has served as a Chapter President for 12 years, Division President for 17 years and most recently completed 12 years service on the Southern States PBA Board of Directors as its Sr.Vice President. In May of 2005 Jeff retired from a career in law enforcement. He served 28 years on the Raleigh (NC) Police Department. His assignments included a variety of responsibilities. After 11years in a patrol car, he was promoted to Detective and spent four years in the Drug/Vice Unit. He was promoted to Sergeant and served in patrol and investigations ending up as the supervisor in Major Crimes (Homicide). From there he was promoted to Lieutenant and assigned as District Executive Officer. In 2003 he was promoted to Captain and assigned as Commanding Officer of the City’s Downtown District, where he served until his retirement. In addition to these assignments, Jeff was a hostage negotiator since 1986 and served as the Negotiation Unit commander from 1992 until his retirement. In addition to his law enforcement career and PBA activities, Jeff served as a founding member of the NC Association of Crisis Negotiators. He continues to teach Hostage Negotiation through the NC Community College system. He also served for a time on the Board of Directors of the City of Raleigh Employees Credit Union. He is currently serving in various elected and appointed positions with The Gideons International ministry.